4 2/3 in. one-sided dagger style blade made from 440 stainless steel with bead blast finish. 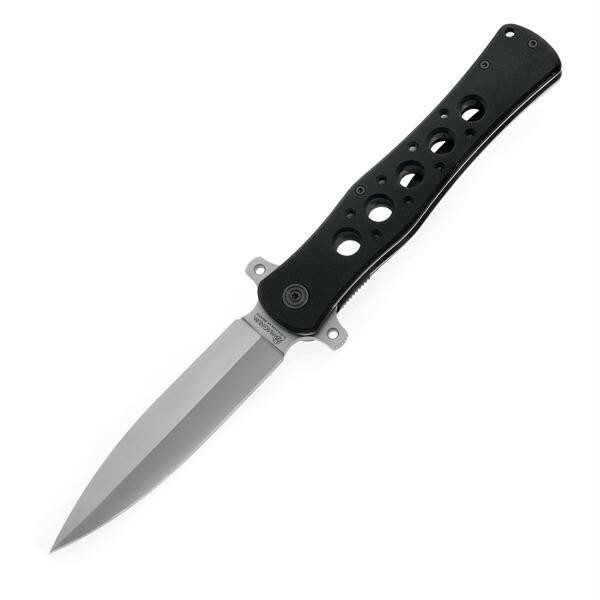 G-10 handle includes liner lock, pocket clip and lanyard hole. Overall length is 10 2/3 in.